Desperate for some interior inspiration? 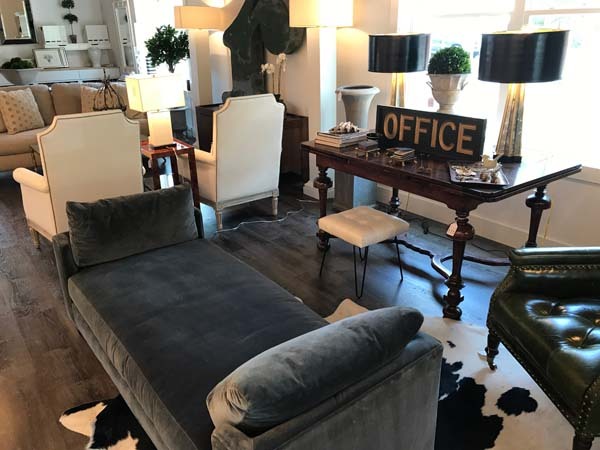 Head straight to Three Trees Interiors fresh new digs in Old Lyme. 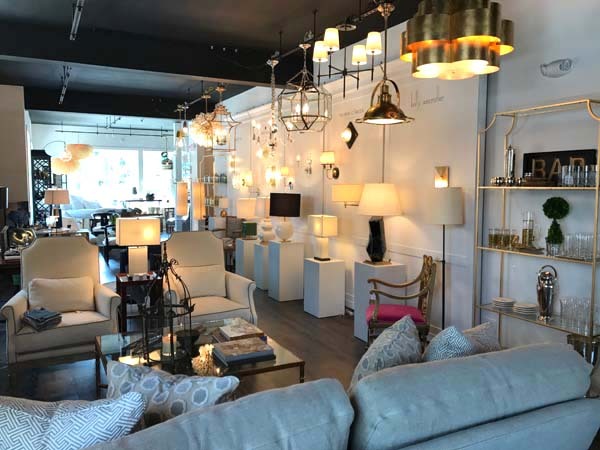 Bursting at the seams in their Old Saybrook location, Robin Rountree and her team have installed themselves and their design biz in a sparkly and chic new showroom. Offering everything from a DIY fabric library to a whole house makeover, you’ll find all you need to put a finishing touch on your home. 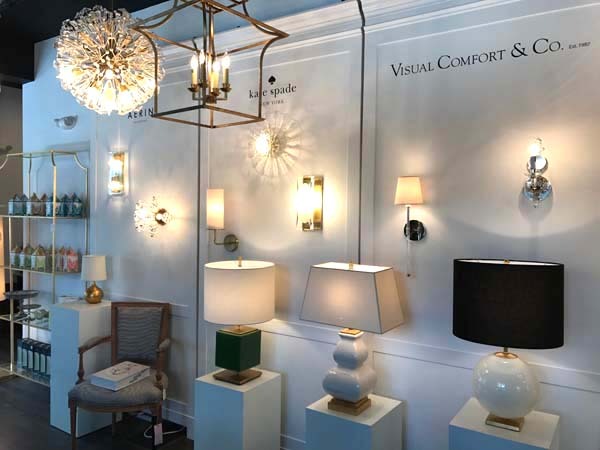 She’s got the goods: I was dazzled by the extensive selection of Visual Comfort lighting, from the likes of Aerin Lauder, Thomas O’Brien and Kate Spade. 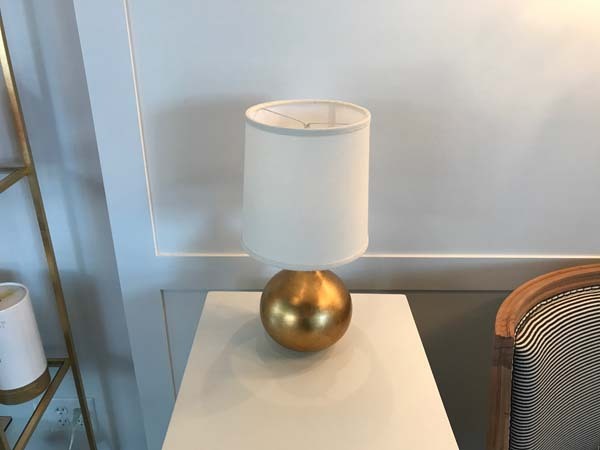 On the hunt for the perfect bedside lamp? This tiny golden globe (below) is your answer. The crisp yet casual linen sofas and chairs by Cisco Brothers are crafted sustainably in the USA and customizable. 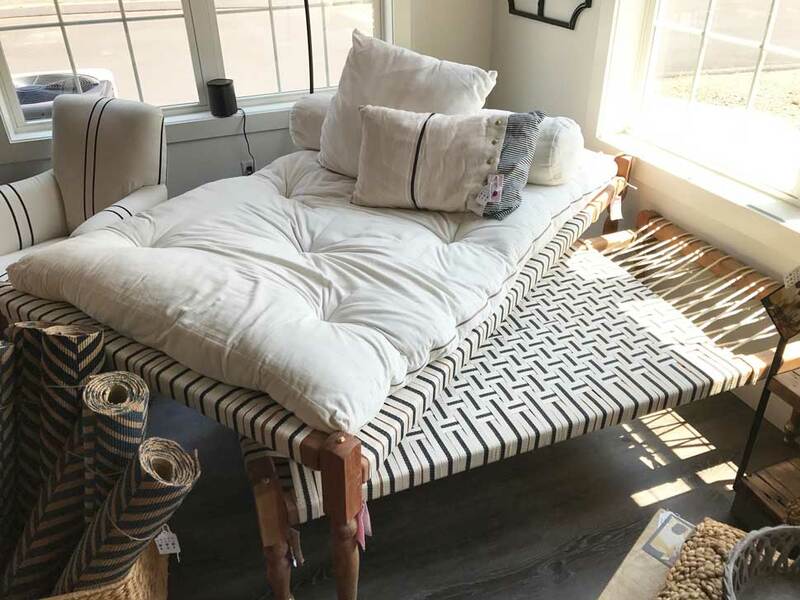 I loved these woven trundle beds with velvet mattresses (pictured above) for unexpected overnights or the living room: eco-friendly and made in India by Bunakara. Owner Robin Rountree sees herself as a problem solver…need kitchen cabinets? Check. A runner for the stair? Check. 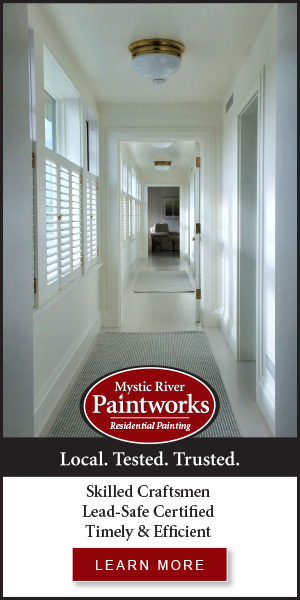 A paint color consult? The best guy for floors? Check, check. But she’s also more than happy to take on your whole house. Or just come on in and browse their vast fabric library on your own for pillows, drapes or whatever needs a new covering. It could be Robin’s sweet southern accent, but you’ll want to make yourself right at home here.